What is the Future for Gum Rosin? Historically, gum rosin production has been a labor intensive business, and production has moved across the globe seeking low labor costs. Is this a sustainable model, or does the industry need to change the business model by developing and adopting new ideas and processes to increase pine oleoresin extraction productivity and lower costs? 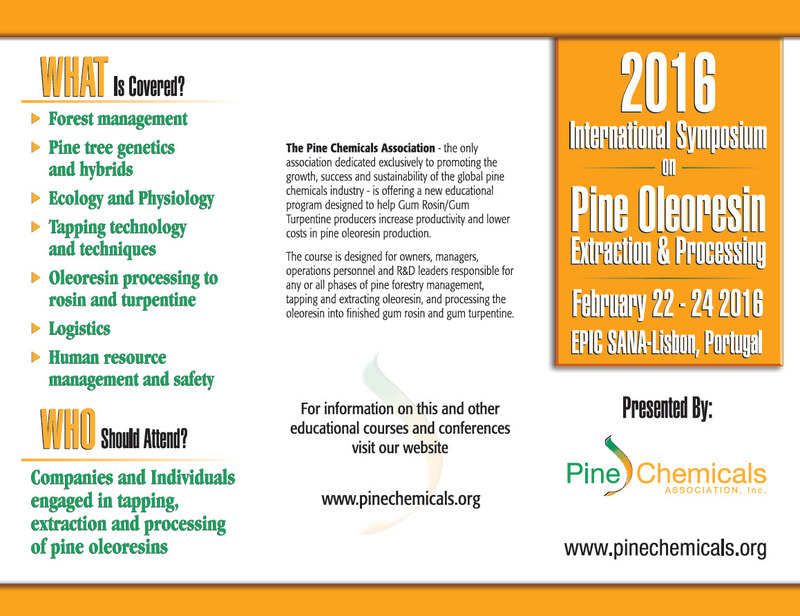 The Pine Chemicals Association has planned a global symposium to gather educators, managers of oleoresin extraction and rosin/ turpentine production companies, consultants and technologists from around the world to discuss current innovations, best practices and new ideas in forestry, genetics, logistics, extraction techniques and rosin/ turpentine production. In addition to an update on new technologies and ideas, we hope to inspire discussions on how we can improve the business model for the industry. Alex Cunningham will be the Chairman of the Symposium and will help lead the discussions on possible new concepts for our industry. 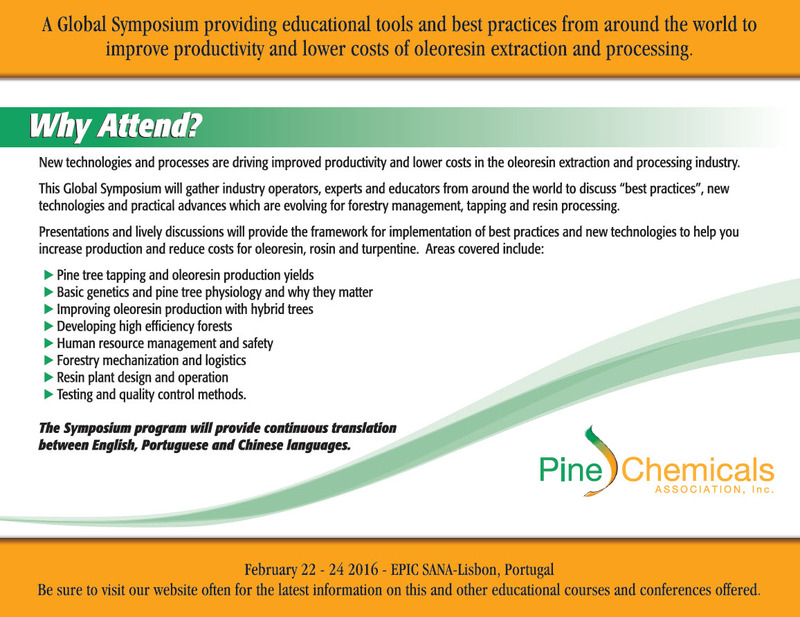 The Symposium will begin at noon, Monday February 22 in Lisbon, Portugal. Sessions will include presentations as well as times for Q&A and discussions on our industry technology. All sessions will have continuous translations in Portuguese, Spanish and Chinese. 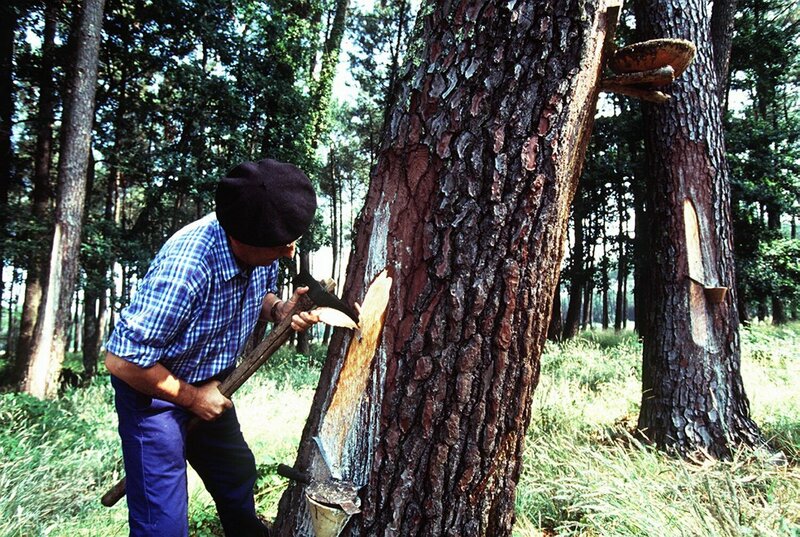 This course is designed for owners, managers, operations personnel and R&D leaders responsible for any and all phases of pine forestry management, tapping and extracting pine oleoresin into finished gum rosin and gum turpentine. The program will provide continuous translation between English, Portuguese & Chinese. DOWNLOAD the electronic brochure now! This course will be offered from 22-24 February 2016. General Session will begin at 13:00 on 22 February and will conclude at 12:00 on 24 February 2016. The course registration fee includes: all course materials, Lunch/Breaks/Reception on Monday & Tuesday, and Breaks/Lunch on Wednesday (Breakfast is available for guests staying at the EPIC SANA). Registration for the course can be made online using this link.